Being a turtle is tough enough, but being a ninja turtle? That’s physically and mentally demanding. But even though a ninja turtle has to be in top shape at all times, we think that having a little help is always a good insurance policy. After all, you will probably be coming up against some foes that have a lot more firepower than you do. Plus, they won’t have to lurk in the shadows, so any advantage you can get is worth it. Looking for a way to add authenticity to your Raphael costume? These officially licensed TMNT sai weapons are exactly what you need.They are Raphael's signature weapons and make all of your ninja moves look even more awesome (though we know that’s a tall order!). 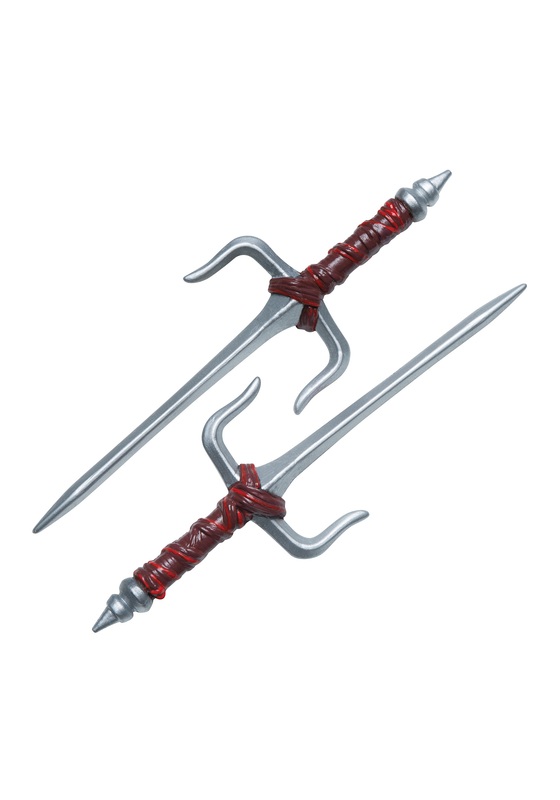 The sai weapon is made up of two 15” long daggers that have molded red handles that give the appearance of being wrapped with leather laces. You wouldn’t dare come up out of the sewer without these by your side for protection!